Rupert Murdoch's money-losing rag, the New York Post, has run yet another illuminating editorial about teacher evaluation, this time criticizing Governor Andrew Cuomo. Let's put aside the fact that VAM, as a part of evaluation, has no scientific validity. Let's forget about the stories of excellent teachers being rated poorly, or wild year-to-year variations with the same teachers. Let's not even discuss the notion that students themselves bear no responsibility for their own test scores, good, bad or otherwise. Because we're so good-natured, we'll also forget about the massive flaws in the standardized tests themselves. Let's simply focus on the Post's thesis that unions block the evaluation system because they don't want teachers held accountable. I can't speak for every school district in the state, but I'm pretty familiar with the largest one, New York City. Here's one fact about it--for better or worse, the UFT President was instrumental in pushing the plan that made VAM part of new evaluations. A more important fact is this--it isn't the UFT blocking implementation of this plan, but rather the Post's hero, Mayor Michael Bloomberg. 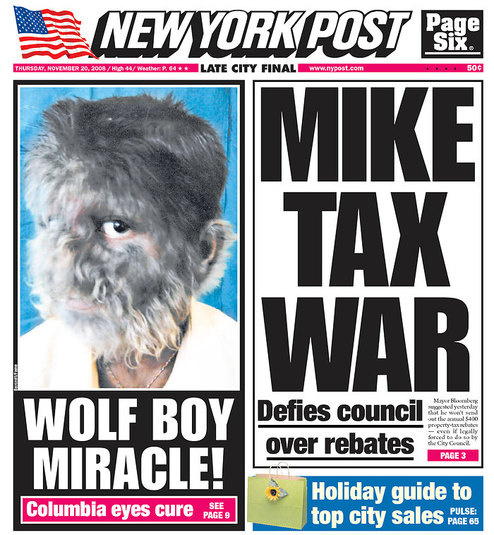 It was he who introduced a ridiculous turnaround plan to protest the lack of a framework between the city and the UFT, and it was he who persisted with this plan even after a framework was agreed upon. The fact that his plan was very publicly scuttled by the courts is not even relevant here. The important factor, either unknown or willfully ignored by the Post's crack editorial staff, is that it's Mayor Bloomberg, not the UFT, blocking enactment of an evaluation system. In fact, Mayor Bloomberg would need to write the system into a contract, and that would entail coming to an agreement with the union. I don't suppose it's escaped the attention of 80,000 teachers that all city employees but educators got an 8-plus percent raise between 2008-2010, and that Bloomberg unilaterally declared we alone would not get it. Meanwhile, the puppets at E4E request that a system be imposed upon us. They care so much about the professionalism of working teachers that they don't give a damn whether or not we ever get a raise. Nor do the saints over at TNTP mention that when they pontificate about the retention of teachers. Personally, I'm not at all persuaded a raise would be worth taking on the new system. It's hard for me to see how good teachers will not be fired on the basis of junk science. But it's a blatant falsehood to contend that the union is blocking any evaluation system. What Does Governor Andy Have to Hide?